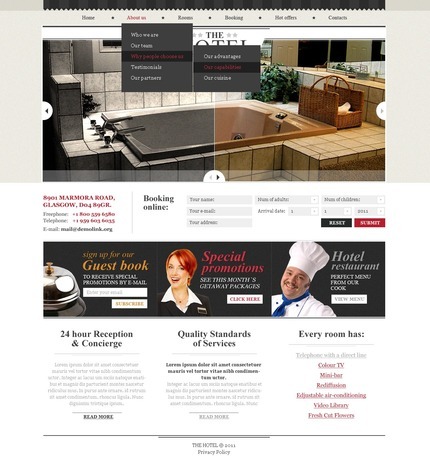 Hotels : This template is designed for hotel websites and website related to the industry. The design gives your visitors the feeling of comfort, relaxation and your ability to serve them in a luxurious professional way. Bonus with every purchase With each template purchase you get Free Web Design Elements: photos, fonts, icons, 3d models, sounds. Buy template 57238 from zeronese today and get access to the Free Clipart & Free Web Design Elements library.